My first contact with the PHI couture house, which some compared to Jil Sander and Helmut Lang for its timeless fashion, came unknowingly. 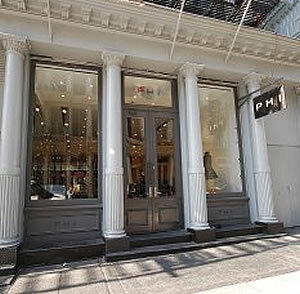 (The company wrote PHI in caps but pronounced it as "fee," for the Greek letter.) Another company in New York City for which I worked as an assistant patternmaker had been hit hard by the recession in 2007, and I had begun to apply for other jobs in preparation for change. An anonymous ad in Women's Wear Daily caught my eye because it specified couture work, and I emailed a resume and follow-up message to apply for the job as an assistant patternmaker.